Herbicides are best understood and compared by knowing their active ingredients and understanding how they work. Many brands of herbicides are marketed which use one active ingredient or a combination of active ingredients that have been approved and registered for use by the Environmental Protection Agency (EPA). Spectracide Grass and Weed Killer, containing the active ingredient diquat, and Roundup, containing the active ingredient glyphosate, are postemergent, nonselective herbicides that are applied to weeds actively growing above the soil. Both Spectrum Weed and Grass Killer and Roundup are nonselective herbicides, meaning they kill most or all plants, including grass. They should be used before a lawn is planted or to kill weeds in spots or in specific areas such as beside sidewalks. Young weeds are easier to kill with postemergent herbicides. 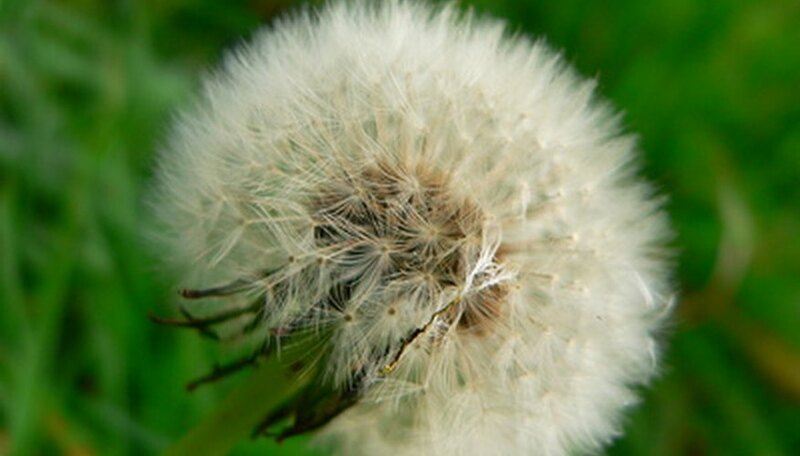 They do not work well if weeds are stressed by drought or have begun to produce seeds. Spectracide Weed and Grass Killer destroys plants on contact. It kills only that part of the weed with which it has direct contact, and it does not kill underground rhizomes or tubers. If weeds grow back from rhizomes or tubers, several applications may be needed to kill weeds. Roundup is a systemic killer; it moves inside the plant with water and nutrients. It is useful for larger weeds, but it may take longer to kill weeds. Diquat dibromide, commonly called diquat, is the active ingredient in Spectracide Grass and Weed Killer. Spectracide is sprayed on plant leaves or an entire plant; it kills them by causing them to dry out quickly. Diquat kills only that part of the plant that it physically touches, and it does not leave trace amounts in the soil, water or on plants. Diquat is widely used to control the flowering of sugar cane, to kill seed crops and potato vines and to control aquatic weeds. Glyphosate, the active ingredient in Roundup, mimics and blocks part of a molecule called phosphoenolpyruvate, commonly called PEP, that is central to the metabolism of both plants and animals. Glyphosate moves within a plant, killing all of it, and it is useful for killing older weeds. It kills all annual and perennial plants including broad-leaved weeds such as dandelions, weedy grasses, sedges and woody plants. Roundup is used among a variety of crops and on non-cropland. Both Spectracide Grass and Weed Killer and Roundup are toxic if ingested or inhaled in large amounts. The European Union prohibits the use of herbicides containing glyphosate on the grounds that it is an environmental hazard. What Chemicals Kill Nut Grass? How Do I Kill Tansy Weeds?